We can see strifes, afflictions, beatings of believers – yet it is still possible to remedy the situation, assures Archpriest Nikolai. 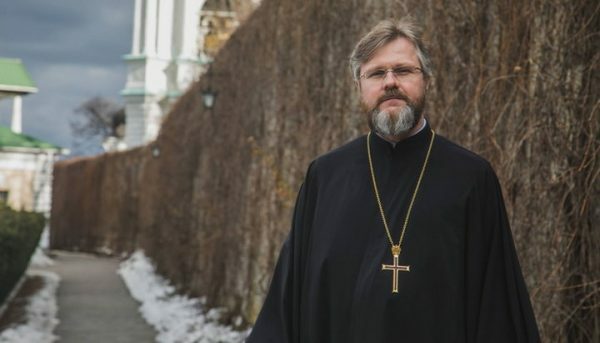 In order for the religious conflict in Ukraine to stop, it is necessary to put a stop to the seizure of temples, return the grabbed temples and calm people down, explained Archpriest Nikolai Danilevich, the deputy head of the UOC Department of Eternal Church Relations on the air of the First Cossack channel. “It is necessary to remind to the OCU [‘Orthodox Church in Ukraine’-Pravmir] followers that they are Christians,” said the Archpriest. In his opinion, overcoming a religious conflict largely depends on the response from the state authorities. “If there is a directive from the state (for this organization is under the direct control of the state, let’s speak frankly), the evil will not happen. They will calm down,” added the archpriest. It is necessary to stop lawlessness as soon as possible, the deputy head of the DECR is sure. He recalled that the Ukrainians were experiencing something similar in the early 90s, and the repercussions of those events were tangible for a long time. “There is no unity. Only quarrels, sufferings, beatings of believers. We saw all this about 30 years ago, at the beginning of the 90s. But we were able to survive. And how long did it take to return to peace and quiet? 20 years? 30? ” Archpriest Nikolai reminded. According to him, the events taking place now are even more dramatic – Tomos has failed to bring peace, people are aggrieved. On March 21, 2019 the Primate of the UOC told Petro Poroshenko, the current President of Ukraine, about the persecutions of believers of the canonical Church. He urged the head of state to draw conclusions from mistakes and look for other ways of unification that would not harm the state and the people of Ukraine. “I want to emphasize that it is not we who take away temples from ourselves, it is not our communities that cut off the locks on their temples, as some people sometimes say in our media. This is done by outsiders being remote from the Church, who do not go to church and never did,” said His Beatitude Onufriy to the President.